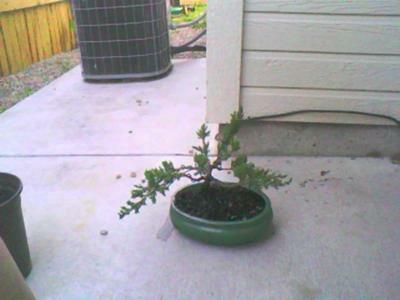 i have been wanting to create a bonsai for quite some time..i got my hands on a pot and realized..that i had no idea what i was doing. this website helped me choose the right one and helped get me jump started on my way to creating a beautiful bonsai. The bonsai is a Juniperus procumbens 'Nana' and i love it very much!